The system helped us tremendously as far as doing the matching and the amount of time that it takes. Overall it’s been a great experience. We speak highly of ReconArt. 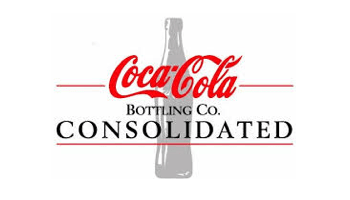 Coca-Cola Bottling Co. Consolidated (CCBCC) is the nation’s largest independent Coca-Cola bottler. The Company operates primarily in the Southeast, with corporate offices located in Charlotte, North Carolina. CCBCC stock is traded on the NASDAQ exchange under the symbol COKE. Steven Richards, Accounts Payable Manager and Lucia Kok, Accounts Payable Analyst, were trying to figure out whether the market had a good solution fit for the company’s corporate expenses reconciliation. Between the three data sources at play (JP Morgan credit card transactions, Concur for expenses control, and SAP as the system of record) and the company growing rapidly, this particular process was starting to become a challenge. As exceptions were growing increasingly difficult to identify and investigate, the process was starting to demand a disproportionate amount of time from the team. Steve and the team were set on finding a reconciliation solution that was flexible enough to accommodate this process, yet straightforward to use and easy to implement. At the same time, it was important for the associated price tag to reasonably correspond to this initially limited business scope. We were already sold, but the person we spoke with was so excited about the product and what it’s done for them, so we echoed that excitement. It helped us in our decision. Steven Richards, Accounts Payable Manager, CCBCC. Today ReconArt™ is up and running in CCBCC’s corporate office in Charlotte, NC and all expenses reconciliations are already automated in the system. Seeing ReconArt in action has inspired the team to consider other uses for the reconciliation solution across the company. One thought is to expand transaction matching and exception management benefits across other Accounts Payable processes involving data from SAP and other external sources. Another opportunity actually involves non-financial reconciliation: to help the company manage employee lists for increased HR visibility and master list accuracy. ReconArt is proud to help support CCBCC’s growth and is looking forward to help implement the above processes later this year. Premier Credit Limited is a microfinance company established in 2013 to provide credit only financial solutions to small and microfinance entrepreneurs in East Africa.